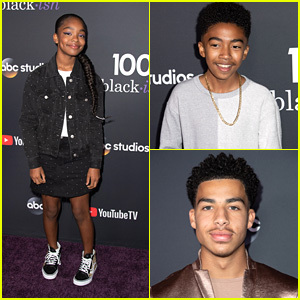 Miles Brown, Skai Jackson, & Lonnie Chavis Step Out in Style for BET Awards 2018! 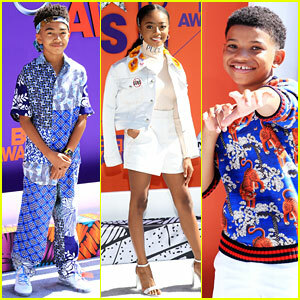 | 2018 BET Awards, BET Awards, lonnie chavis, Miles Brown, Skai Jackson | Just Jared Jr. Miles Brown & Rylee Arnold Sizzle On Dance Floor With Cha Cha For 'DWTS Juniors' Semi-Finals - Watch Now! Miles Brown & Rylee Arnold 'Rock Around The Clock' For 'DWTS Juniors' - Watch Now! Miles Brown Whirls Rylee Arnold Around On The Dance Floor on 'DWTS Juniors' - Watch Here! Miles Brown Recreates 'Space Jam' With Rylee Arnold on 'DWTS Juniors' - Watch His Performance! Miles Brown Is All About The Candy For Halloween on 'DWTS Juniors' - Watch His Performance! DWTS Juniors: Miles Brown & Rylee Arnold Get Into Some Trouble on Disney Night as Aladdin & Jasmine - Watch Now!